There are an enormous number of hotels in Cartagena ranging from hotels from luxurious boutique hotels to budget backpacker hostels. When looking for accommodation in Cartagena, you need to decide in which part ofthe city you want to stay. You have two main options, and each has its advantage. Here you'll be within a short walk of all the historic tourist attractions in the city. You'll also be close to many if the best restaurants and bars. The hotels in the Old City tend to be a little smaller than those in Bocagrande (although just as, if not more, luxurious! ), so you're likely to get a cosier, more intimate experience. Personally, I usually prefer to stay in the Old City. Staying in Bocagrande means you'll be much closer to the beach. If the main aim of your vacation is to relax on the sand and go for swims, then this is probably a better bet. Most of the big chain hotels (Hilton, Dann Carlton etc.) are found in this area. There are also lots of fine restaurants within walking distance, and the bar scene is growing rapidly. The Old City and Bocagrande are only a 10-minute taxi ride away from each other anyway, so regardless of where you choose you can easily get to the other part of the city. One of the best hotels I have ever stayed in is Hotel Casa San Agustin. Situated smack bang in the middle of the Colonial Quarter, this stunning boutique hotel offers comfortable elegant rooms, as well as an outdoor swimming pool, terrace, restaurant, and much more. Highly recommended! 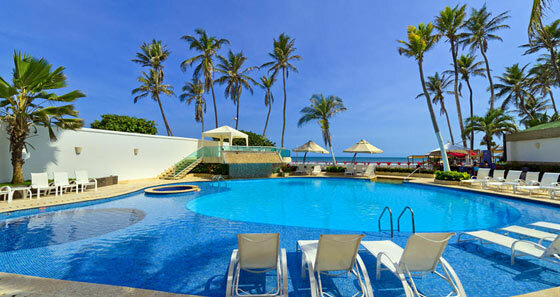 Another great option is San Pedro Hotel Spa. In addition to its wonderfully elegant rooms, the hotel has a lovely pool in the middle of a courtyard, as well as a hot tub and spa. Easily one of the best hotels in Cartagena! 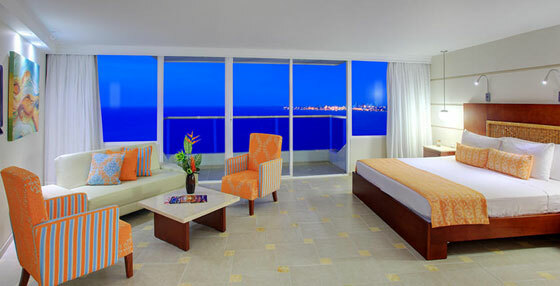 If waking up in the morning to majestic views out over the Caribbean is your thing (and why wouldn't it be! 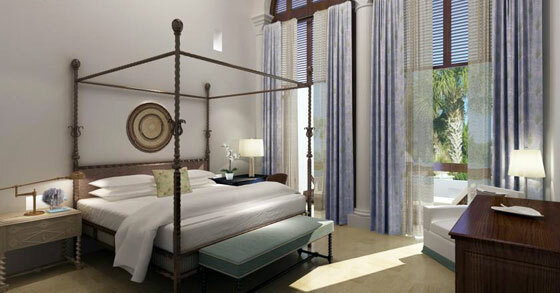 ), then there is no better place than the luxurious Hotel Dann Carlton Cartagena. The rooms are spacious and many also have large balconies to relax on as you enjoy the sunset. Another of the best hotels in Cartagena is the famous Hilton Cartagena - situated at the end of the headland which includes great sea views and a private beach. The hotel has an enormous range of facilities including a large spa and 3 tennis courts. A great option for self-catering apartments in Cartagena is San Diego 974 Suites. Located in the Old City, the hotel boasts comfortable and spacious living quarters including well-equipped kitchens. There is also a rooftop swimming pool. For a good budget hostel just outside the Old City, try Hotel Marlin. The dorm rooms and private rooms are kept clean and there are some good common spaces to meet other backpackers. If you're looking for a party hostel, the best place to stay is the Media Luna Hostel. It seems like the place is a non-stop party and is great for meeting people. Not recommended if you want a good night's sleep though! Read my main guide to Cartagena for advice on what to see and do in this glorious coastal city.